History repeated itself - well very nearly anyway - as, for the second year in a row, the Indian team management announced a relatively young team for the 28th Azlan Shah Cup which begins on March 23. The significant difference, however, is that while coach Sjoerd Marijne deliberately voted for youth over experience for last year's edition, High-Performance Director David John who is in charge of the squad, in the absence of a head coach, has been forced to field an inexperienced squad owing to several injuries. The Indians will be up against Canada, Korea, South Africa, Japan and hosts Malaysia as the top-ranked teams are busy with the FIH Pro League which is currently underway. Defending champions and ten-time title holders Australia will not be part of the action at Ipoh this year and neither will England and Argentina who finished on the podium in 2018. As far as the Indian team selection is concerned, a long injury list has failed to enthuse confidence, especially considering the fact that the boys have not played competitive hockey since going to the Netherlands in the World Cup quarterfinal in December. Interestingly, Ramandeep Singh who had performed admirably in the Senior Nationals last month, after his return from injury has been overlooked as has veteran fellow-striker SV Sunil. 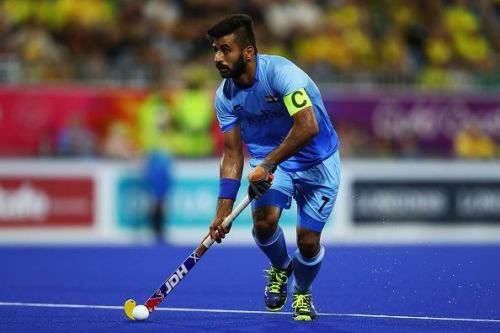 The team does appear a wee-bit porous at the back as Rupinder Pal Singh who missed the World Cup has failed to make a come back, while key-drag flicker and defender Harmanpreet Singh too has failed to find a place in the final eighteen who will leave for Ipoh on March 18. Amit Rohidas and Varun Kumar will, therefore, have to shoulder the responsibility of firing in the PCs and will be aided by vice-captain Surender Kumar and Birendra Lakra in defence. Goalkeeper Sreejesh who had injured himself in the 2017 edition of the Azlan Shan Cup, and missed last year's tournament, returns to guard the post alongside Krishan Pathak. Vivek Sagar makes his way back into the team after being left out of the action at Odisha 2018 while young Hardik continues to impress the selectors and will man the midfield along with the ever-dependable Manpreet Singh who will lead the side. The men up front, however, have quite a task on their hands as not only are Ramandeep and Sunil missing, but Akashdeep Singh and Lalit Upadhyay too will have to remain in the Bangalore camp while Mandeep, Simranjeet, and Gurjant will lead the charge in Ipoh along with Shilanand Lakra who made his debut in last year's Azlan Shah Cup. The Indians are without a head coach as Harendra Singh's position has yet to be filled but according to Hockey India sources, Analytical Coach Chris Ciriello will be continuing to guide the boys as the search for a head coach continues. High-Performance Director David John rued the fact that the Indians will be unable to field a full-strength squad but expressed hope that the youngsters will help in adding depth to the core group ahead of the Olympic qualifiers. "It is unfortunate that we will be missing some key players for the 28th Sultan Azlan Shah Cup 2019 due to injury. However, it is important for them to return to 100 per cent fitness ahead of the FIH Series Final, which is a crucial tournament in our quest for 2020 Olympic berth and so they will continue to remain in Bengaluru and work on their rehabilitation." Can India crack the Malaysian riddle? The Indians had got past Japan and South Korea, both in the Asian Games and Asian Champions Trophy last year, and also made short work of Canada and South Africa in the World Cup, but the Malaysians have been a tough nut to crack. The loss to a lower-ranked Malaysian outfit in the Asian Games semifinal triggered a crisis in the Indian set-up and Harendra's boys were unable to get past Oltmans' side in the Asian Champions Trophy as well with both sides playing out a goalless draw. As such, India's clash against Malaysia on March 26 assumes great significance after Manpreet and Co. begin their campaign against Japan on March 23. Forwards: Mandeep Singh, Simranjeet Singh, Gurjant Singh, Shilanand Lakra, Sumit Kumar.